One of my New Year’s resolutions is to watch and make use of the Craftsy classes I’ve accumulated. I’ve also stuffed my ankle so I’m looking for more sedentary things to do at the moment (twiddling my thumbs for 3-4 months is going to test my patience). 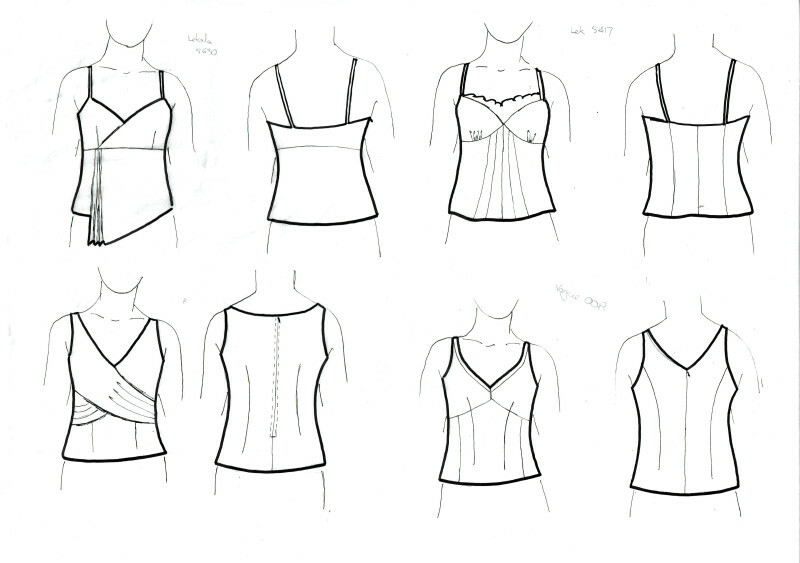 Anyway, the first class I’ve watched has been Drawing Fashion Flats: Designing Construction Details I often do sketches when I’m trying to knock off a garment I’ve seen or see how a pattern’s proportions work on my croquis, so I thought I’d give this class a go. 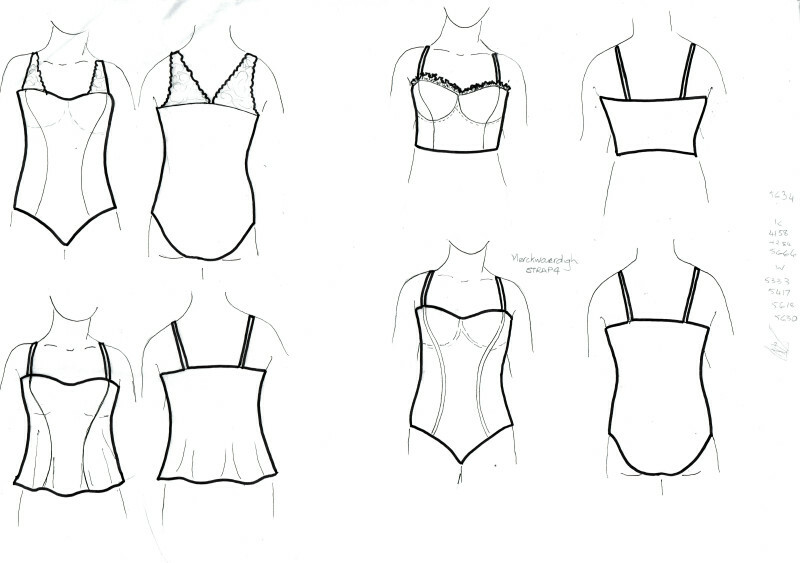 I have been working on plans for a summer wardrobe, so I could put the class to work by drawing out my plan.Just as a baseline, here are the sketches that I did for potential tank/camisole patterns before I watched the class. The first couple of lessons appeared a bit slow paced but it was quite amazing how your technique ( and confidence) was built over the lessons. Very quickly I was drawing ruffles, flared hemlines and pleats that looked half reasonable. My collars need a bit more practice, but they have improved also. There are lots of tips thrown into help with proportions, making things symmertical and adding dimension. It also covers drawing to scale and using a template. The emphasis is hand-drawing the flats. There is no examples of computer drawn flats. Which is fine by me as I enjoy putting pen to paper and doodling. After watching the lessons, I spent the best part of day drawing flats using my own croquis as the template. 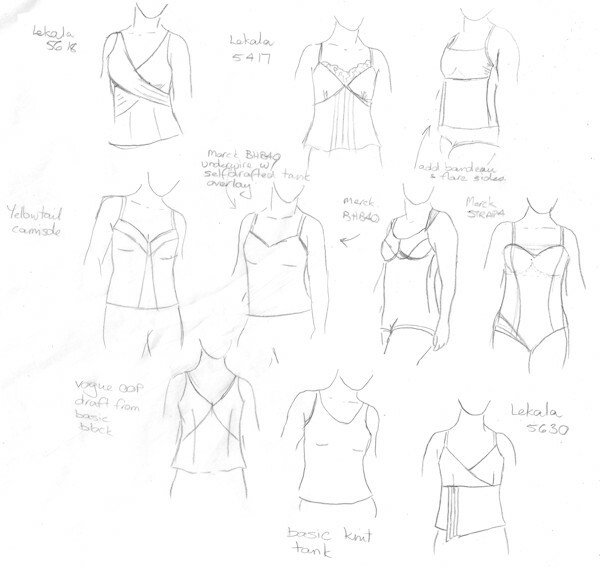 Mainly, I concentrated on patterns I was considering for the summer wardrobe – mainly tanks/camis, a swimsuit with variations, shorts, and a couple of light tops/shirts. So here are a couple of examples. Can you spot an improvement in my drawings? Variations on Merckwaerdigh STRAP4 (strapless bra). Check out the ruffled trim! 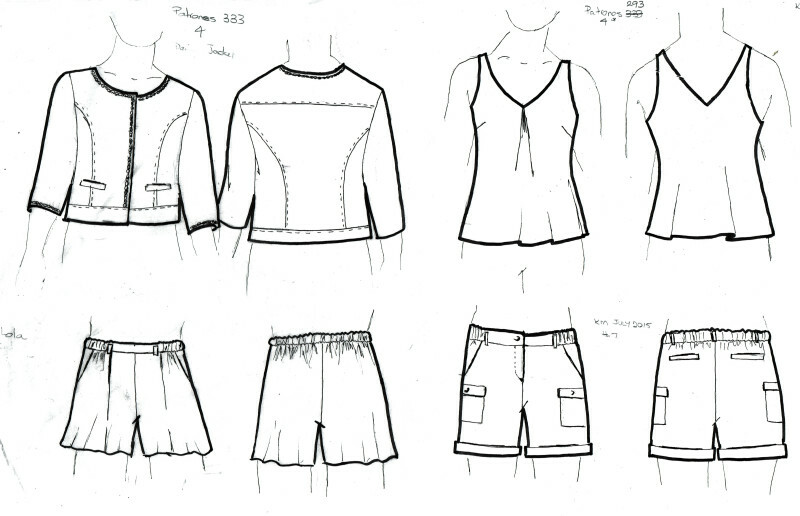 In my next post I will have a couple wardrobe plans that I’ve put together using the sketches. 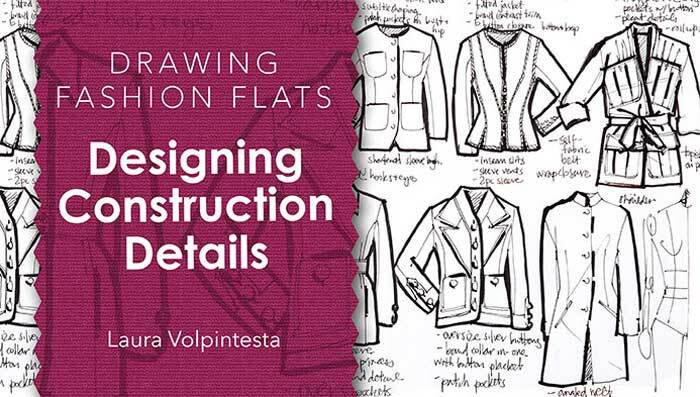 Overview Teaches you how to make hand-drawn technical flats either to scale or using a croquis. First couple of lessons are fairly slow but lay a good foundation for the rest of the lessons. 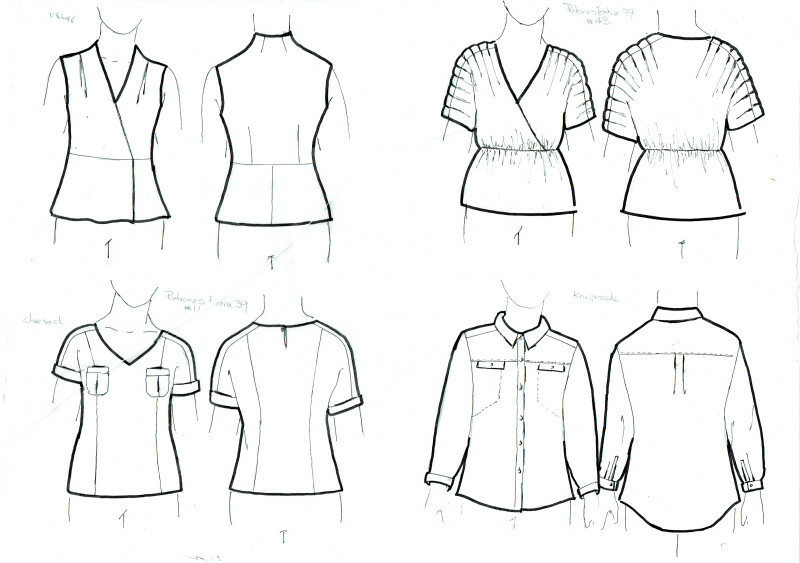 Later lessons include drawing details such as collars, gathers and ruffles. Good tips on creating 3D-type effects and keeping both sides symmetrical. The instructor was very good – enthusiastic, fun and well paced. Comment My drawing has definitely improved by taking the course. You can see my before & after drawings in this post. My collars need a bit more practice but I was really impressed with how quickly my drawing has improved. Can’t believe how well my gathers and drapey hems look now. In Use I spent a day drawing flats on to my croquis ( front and back views). The patterns were ones I was thinking about sewing over the summer. 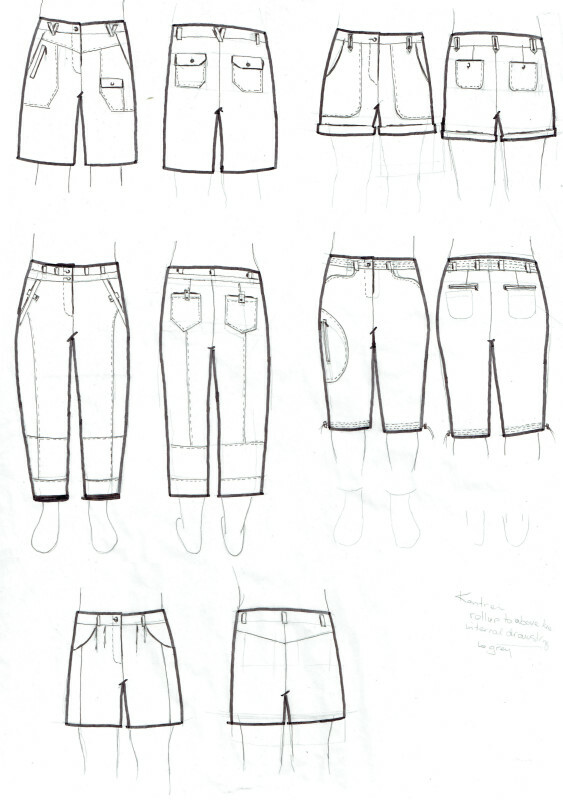 After drawing them, I photocopied them and used them like playing cards to help work out which patterns worked well for my shape, work together as a wardrobe and also to decide on the fabrics to use. Sorry to hear about your ankle, 3-4 months is quite a way away I have always admired your drawing skills and can see quite an improvement with the class. Not sure how it would work with someone that can’t draw for the life of me! Thanks. You’d probably find the first few lessons really good as she starts off just drawing wide arcs and builds up from there. I think you’d be surprised how easy it is when the process broken down. Your initial drawings were quite good already, I see the improvement in detail. How did you make your own croquius? Thanks so much for your answer, especially with the little extra tips too. I will try this.